Leanne Schnierer, "Valley Vista", acrylic on canvas, 24" x 24"
Marking the Valley is a juried art exhibition celebrating the beauty of the Capital Region river valley. It features 28 Alberta artists from Cold Lake, Athabasca, Calgary, and the Greater Edmonton Region. 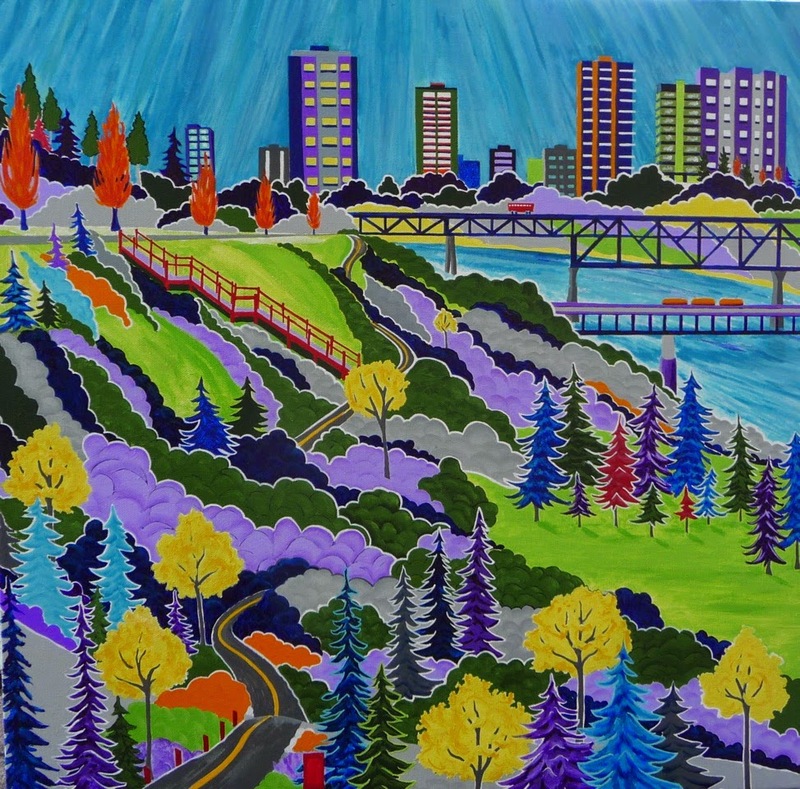 Presented by Visual Arts Alberta - CARFAC and the River Valley Alliance, Marking the Valley promotes Alberta Art while showcasing the North Saskatchewan River Valley. Marking the Valley is at the Kaasa Gallery in the Northern Alberta Jubilee Auditorium (11455 87 Ave NW in Edmonton) from August 28 to October 7, 2014 and at the Southern Alberta Jubilee Auditorium ( 1415 14 Ave NW in Calgary) from October 17 to November 30, 2014. Visual Arts Alberta - CARFAC also acknowledges support from the Alberta Government's Community Spirit Program.